This spearhead is made after an original found in South England. Spears like this were used between the 7th century BC and the 1st century AD. 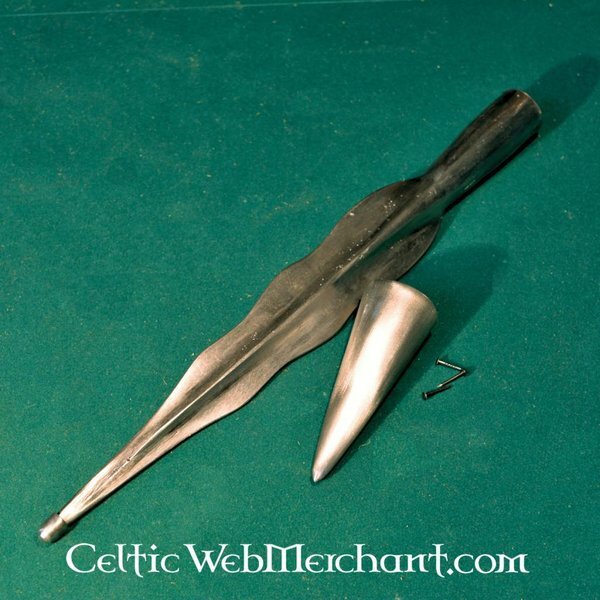 Similar spears are found in the entire Celtic world. These spears presumably had not only a practical but also a ceremonial function. 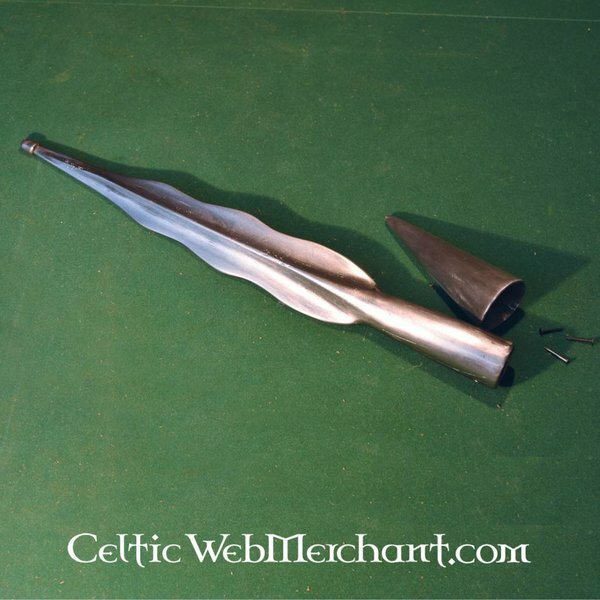 The length of the spearhead is 36 cm and its maximum width is 5 cm. It has a shaft ring with a diameter of 2,5 cm. 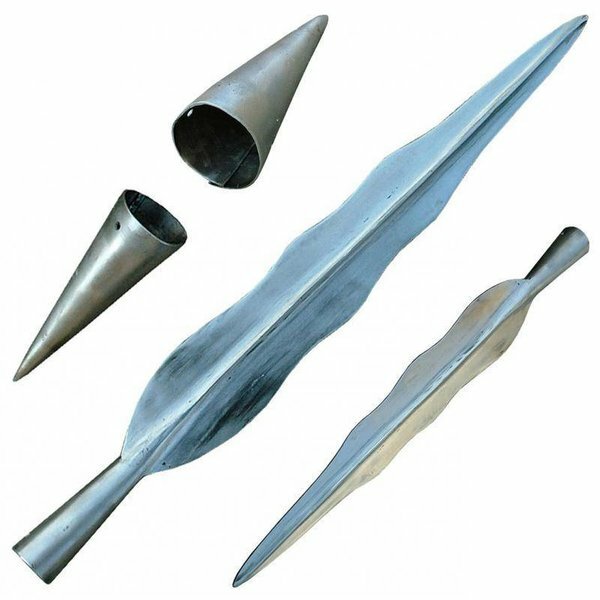 Both the spearhead and the included shaft cap are completely handmade of iron.